Gone are the days when American and European brands dominated the sports shoe market. Today, Asian countries have started making some impressive models too. Mizuno, a Japan-based company, has created a niche for itself in this industry. Ever since its inception in 1906, Mizuno has managed to come up exciting models of sports shoes that are affordable and comfortable for volleyball players. 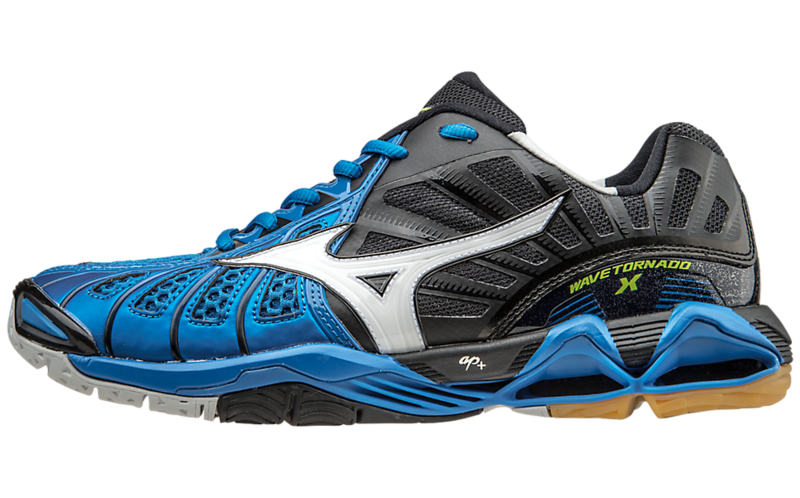 The Mizuno Wave Tornado X Volleyball Shoe is one of them. These shoes are one of the best indoor sports shoes from the company, because of their excellent grip and durability. Here is volleyball shoe review to look at the features of this shoe. Loaded with the Infinity Wave Technology, which ensures that your forefoot, rear foot, and mid-sole areas are nicely cushioned /padded to provide you extreme comfort. Helps through different waves on the sole which work like the suspension on your car to help smooth out shock. Loaded with Dynamotion Fit Technology, which ensures that your feet sit properly within the shoes, thereby removing stress and pressure on them as it is moving during motion by having the upper portion of the shoe stretch correctly to ensure proper fit during movement. Infinite Wave Plate in shoe’s heel gives cushioning and reduces shock from jumping and landing when on the volleyball court. Great for both practice and in game play. Anatomical cup-in-sole is designed to automatically fit to the bottom of your foot. One of the best shoes in the aspects of traction, because of the extra grade rubber. Comes with air vent holes at the soles which help to keep the shoe cool and reduce humidity. This is a unique quality that is not seen in most of the shoes and is referred to as Mizuno Intercool. 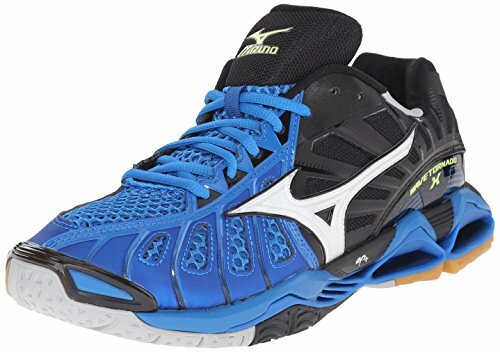 The Wave Tornado X model of volleyball shoes from Mizuno is one of the best models available in the market today because it attempts to provide excellent comfort and control to users, with the help of innovative technology. It makes you flexible and agile at the same while improving your traction also. Since it is reasonably priced, it is highly recommended to include these shoes as part of your volleyball gear. They fit you perfectly and give you the freedom to select your shots without worrying about your toes. Currently has 4.6 out of 5 stars with 95% four star or higher, and no one star reviews. Click through the link below to see more information and reviews.